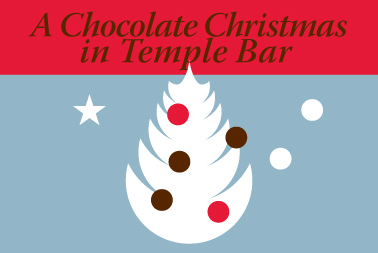 The nice people in Temple Bar Cultural Trust asked me to mention their Chocolate Christmas Festival… How cool is that! For a full programme of events visit Templebar.ie now! Take your family to experience the first ever Panto on the Liffey, add a childrens chocolate truffle making workshop and melt into one of our outdoor movies on Meeting House Square, the ultimate family Christmas outing. Or maybe take some friends to taste some of the finest chocolate in the world at a chocolate tasting workshop with Co Couture, blend with a talk on the fascinating history of chocolate and top with a chocolate cooking demonstration by Chef Stuart OKeeffe. Mix and match events to find your own perfect recipe! Meeting House Square will also be transformed into the ultimate selection box for our Chocolate Fair, choc a bloc with the finest Irish made artisan chocolates and yummy treats for you and your family to indulge in and enjoy. Booking and ticketing varies for each event.